Immerse yourself in the action by feeling the wind, water, jolts, pokes & motion. 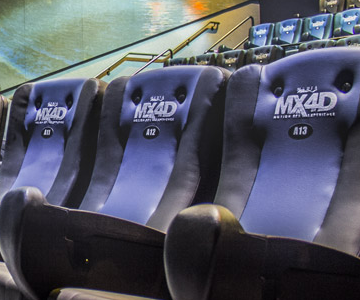 Showcase MX4D® is a totally immersive environment where you actually “feel” the action on the screen from the built-in motion and effects in seats around you. 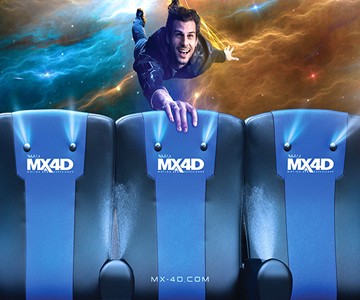 MX4D® Theaters are located at: Holtsville, NY, Revere, MA and Randolph, MA. Only one person can sit in an MX4D® seat at a time. No lap sitting or infants or toddlers are permitted. Each person must be at least 40 inches tall to be admitted. Other restrictions may apply.